This two-tone Golden Snitch bracelet is the perfect gift for any Harry Potter fan. The Precious collection from Alex and Ani features their most iconic symbols realised in beautiful Sterling Silver or 14k Gold plating. 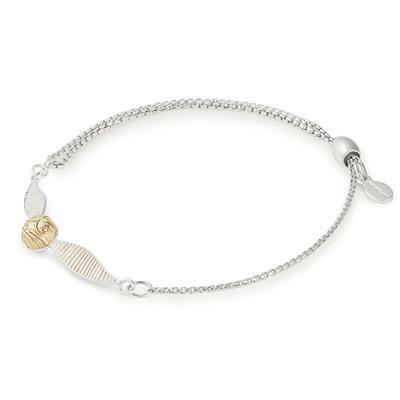 These fabulous designs are a fine version of their jewellery concept, still expandable and wonderfully adjustable they make the perfect gift or addition to an Alex and Ani collection. This bracelet comes packaged in an Alex and Ani box.